January is typically a time where we contemplate what we want to get out of the upcoming year. For 2019, the Akashic Masters are flipping the script. The resolutions and goals are the hallmark of any new year. We dream and conjure, often writing down what we want to release along with the things we want to achieve. How much time do you spend either envisioning the year you want or resisting the pull to do what others deem important – losing weight, getting in shape, creating goals? For 2019, the Akashic Masters encourage us to shake it up and change our traditions. Instead of asking ourselves what we want to get out of the year, they advise us to ask what we can give to it. The last year has been a chaotic one, both in the world, and for many of us, in our own lives. Every day, we are bombarded with images and information that speak to our basest selves, dividing us and supporting the illusion that we are separate. It’s been virtually impossible to escape it. Even if we take periodic breaks from watching the news, we get word about the absurdity and hatred from social media. We overhear conversations while waiting on line to get a cup of coffee. We stress over holiday gatherings with family who don’t share our perceptions and beliefs. We have been stuck in our humanity while our souls long to return home, away from the material world and the suffering that accompanies it. The Akashic Masters want us to know that we are grounding into a Fifth Dimensional timeline. Unlike the Third Dimension where we now reside – filled with the material importance of everyday life on Earth – the Fifth Dimension is a place outside time and space where infinite wisdom exists. Free from ego and fear, the Fifth Dimension offers us the opportunity to know ourselves on a soul level. Here we forget how much money we make, the price of our clothes, the size of our house. We don’t remember how much we weigh, the flabby nature of our arms or the last argument we had. All we know is love and light. Gratitude – No matter how ugly the world appears to be outside, there are always myriad things for which we can be grateful. I know it can be hard sometimes when we are anchored in the “reality” of life, but it’s more important than ever that we attempt to bring our frequency as close to the Fifth Dimension’s as possible. If you’re feeling ungrateful, think of the small things – a hot shower, a delicious salad, a comfortable bed, and the people – that friend who always answers when you call, the co-worker who brings you cup of coffee, the sibling who knows your heart. Moving yourself to a space of deep appreciation brings you closer to the next step in human evolution. Kindness – It sounds easy, but there are times when being kind seems like the hardest thing in the world. When we’re tired, frustrated or even angry it feels difficult to be kind, not only to others, but to ourselves as well. This is when it’s most important. Practice pulling yourself out of the Third Dimension realities of inconsiderate drivers, incompetent service providers and absurd politics. Raise your vibration through transforming your negativity into a gesture based in love and remember even small kindnesses count! Contribute – At this time of year especially, most of us are focused on what we want to get out of the next twelve months. The Akashic Masters call us to ask what we can give to 2019 rather than what we can take. Yes, gratitude and kindness are a great start, but we all can do more. Whether it’s finding the perfect volunteer opportunity, gathering like-minded people or increasing your spiritual practice so you can bring more light to the world, it’s crucial that you add as much Fifth Dimension energy to our collective space as possible. In 2018, we experienced more portals to the Fifth Dimension than in any other time in recorded history. As a species, we are heading toward a world where we live as the souls we are, the material nature of the Third Dimension, and the importance we’ve placed on it, only a memory. To facilitate your participation in this exciting journey, I encourage you to connect with the Akashic Masters. 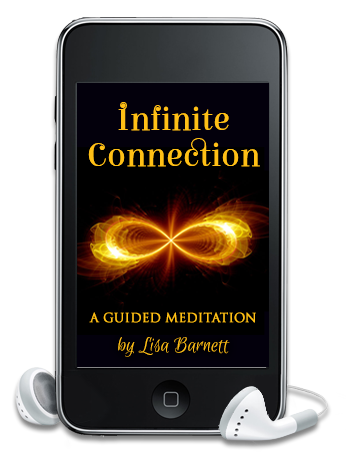 Get started by downloading my Column of Light meditation for free, or reading one of my books: From Questioning to Knowing or The Infinite Wisdom of the Akashic Records. Then, when you are ready to learn to access your own Akashic Records, register for one of my classes. I offer the introductory class, Course 1: Access Your Personal Wisdom , as a six-week online workshop that you can attend from anywhere in the world. 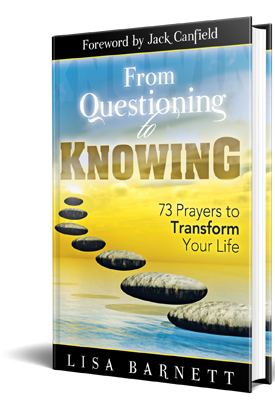 In it, I teach you to access your own Akashic Records so you can have Soul Guidance every day as you transform your life with ease. May we all offer gratitude, demonstrate kindness and consciously contribute in 2019!